12 year old Conor (Lewis MacDougall) has more to cope with than most young boys of his age. He is bullied at school, has little in common with his stern grandmother (Sigourney Weaver) and his father (Toby Kebbell) has resettled thousands of miles away. However, most devastating of all is the fact that his beloved mother (Felicity Jones) is gravely ill. Overwhelmed by the cruelty and injustice of life, Conor summons a giant tree monster (voiced by Liam Neeson) who appears at his bedroom window. Ancient, powerful and wise, the monster guides Conor on a journey through fear, anger and grief. Click Here For Weekly Film Reviews, News & Events! A Monster Calls would have been Siobhan Dowd’s fifth novel. She created its characters, its premise and the beginning of a powerful tale. Tragically, however, Siobhan died of cancer before she had time to finish her story. First published in 2011, A Monster Calls went on to be a huge success, winning both The Carnegie Prize and, thanks to Jim Kay’s stunning illustrations, the Greenaway Medal (the first time the two awards have been given to the same book). It was inevitable, therefore, that the film industry would come calling - ready to transfer Conor’s story onto the big screen. Like many readers across the world, director J.A. Bayona felt passionate about A Monster Calls. In an interview with Screen Daily he describes the story as “powerful and important… an adventure that anyone can relate to." Keen to preserve the book’s mixture of fantasy and reality, Bayona used both physical and computer generated effects. 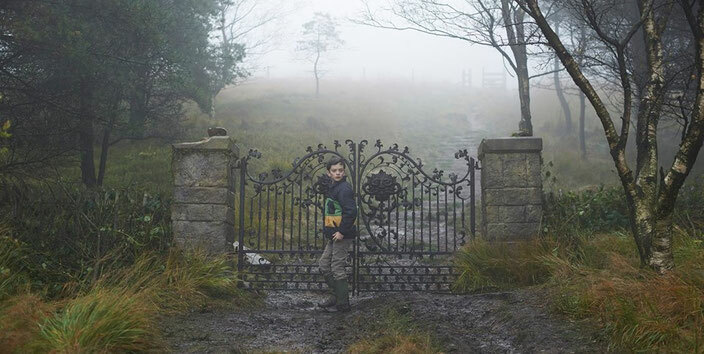 A Monster Calls is an undeniably beautiful movie to look at - the film’s visuals (particularly in the storytelling scenes) are stunning. While watching A Monster Calls I was reminded of the visual style of Pan’s Labyrinth. Unsurprising, given Bayona's close working relationship with Guillermo Del Toro and the fact that he used the same animatronic team to bring his tree monster to life. Bayona has talked about the challenge of casting the role of Conor in A Monster Calls. His hard work has certainly paid off - Lewis MacDougall’s performance is superb. He is supported by an impressive cast - including Felicity Jones and Sigourney Weaver - who convey the power of the film's tragic tale. Fans of the story will, no doubt, enjoy the way A Monster Calls stays (bar some dramatic liberties) faithful to the book - both in its storytelling and visual style. However, I wonder if the movie will struggle to find an audience, at least initially. The trouble is, despite the impressive performances and stunning visuals, I cannot, hand on heart, say that I enjoyed A Monster Calls. While I appreciate that it has worked for many viewers, I just felt emotionally manipulated to the point of annoyance by the movie’s relentless quest for tears. In addition, I really wouldn’t recommend A Monster Calls to anyone under 12. While I understand that you can’t always shelter kids from life, there are scenes in this film that are frightening, upsetting and disturbing - even for children of Conor’s age. Meanwhile, I cannot imagine older teenagers or adults (fans of the book aside) wanting to see a movie about a talking, walking storytelling tree. Perhaps A Monster Calls will find an audience. Perhaps Bayona’s film will become a cult classic. Time will tell. It just didn’t work for me. Liam Neeson’s character, The Monster, is created via performance-capture and voice-over. 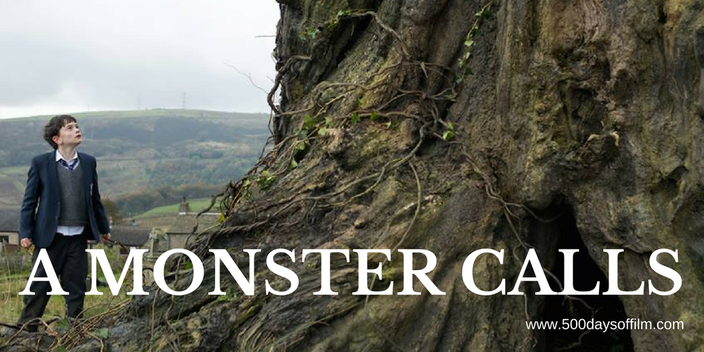 Have you seen A Monster Calls? If you have, what did you think of this movie? Let me know by leaving me a comment in the box below.